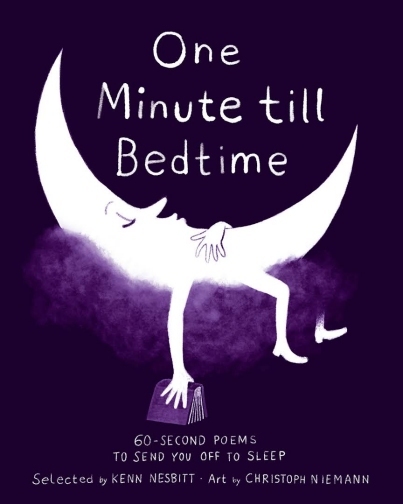 When the mastermind behind the largest online poetry site 'Poetry4kids.com' produces an anthology of children's poems, you know it's going to be good. When that person is former poet laureate Ken Nesbitt, you can be certain it's going to be great. This new book is filled, no, stuffed to the brim with poems, 150 to be exact, by 130 different poets. All of them are a minute long, just short enough to be squashed between that last story and a good night kiss. Well, at least that's the theory, but with so many amazing poets in this volume such as Jack Prelutsky, Bruce Lansky, Judith Viorst and Nikki Grimes to name a few, you will find one poem quickly multiplies into five or six before you can say iambic pentameter. It's hard to believe that this is Ken Nesbitt's first anthology, but he's done such a fine job of it, he many never need to publish another one in his lifetime. For me, this is the kids poetry book to end all others. I can breathe a sigh of relief that finally all my favourites are collected in one place. Each poem has its own page and is beautifully illustrated by New York Times illustrator Christoph Niemann and the poems are sorted into colour coded sections to help you find your perfect prose partner. There are poems to make you laugh, animal poems and poems about people. A few that might actually lull your child to sleep, but don't hold your breath. Poetry is more closely related to music and rhythm than a narrative and as such, kids seem to have a natural affinity for it, as one of my kids put it, "It's a story you can just pop in you head for later."